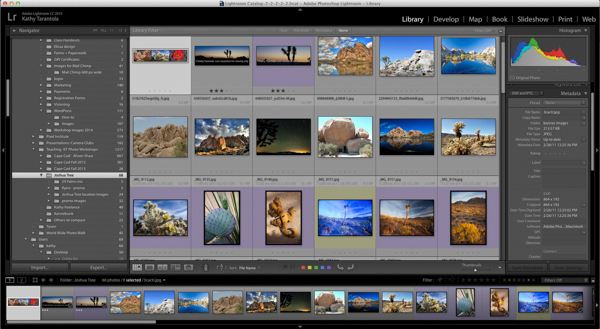 Beat those March Cabin-Fever Cold-Weather Blues and come learn Lightroom! Please be aware – If you have the cloud based version, which is simply called Lightroom CC, that is a very different program and we won’t be covering it. This workshop will give you a working knowledge of Lightroom, the leading editing and processing program for photo professionals and enthusiasts alike. We will cover both the Library and Develop modules. In the Library module we will cover the best workflow practices of importing, organizing, renaming, using stars and color labels for rating, and keywording and metadata for search simplicity. You will learn how to work through large shoots efficiently with synchronized settings and presets, and how to use Collections for creating virtual folders of your images for major efficiency. Then, with the Develop Module, let the fun begin! Learn the quick and easy tips for editing your work, beginning with learning to evaluate any image and using the tools to make portfolio quality images. We will take several images through the entire editing workflow, reviewing tools as we go. Topics emphasized will be based on student needs. You will have time to practice with your own images, ask questions, and get feedback on your work. No prior experience with Lightroom is necessary; however a working knowledge of computers is necessary for you to get the most from this workshop. A laptop computer loaded with a Lightroom CLASSIC CC is required. You can download a trial version at Adobe.com. 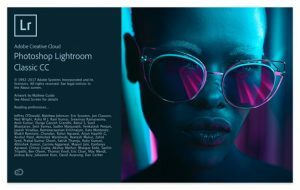 In this Develop Module intensive, we will cover many of the features that make Lightroom an amazing and powerful processor of digital images. We will continue learning the tools and delve deeper into the tips and tricks to enhance your images quickly and with stunning results. We will also delve into the Export feature and create export presets to streamline your process. Learn how to seamlessly work between Lightroom and Photoshop. 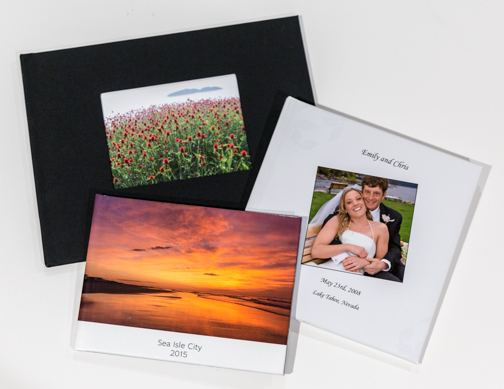 Using your own images with help along the way, you will walk away with hands-on knowledge and the ability to quickly make your images ready for exhibition or to make the perfect photo book or slide show. In this output workshop, we will cover two exceptional ways to share your images with the world, making exhibition quality prints or creating a multipage book. Searching / Filtering – how to find anything! Happy New Year everyone! Blessings to you and yours for 2018! As I type I can hear the winds howl and the snow plow scrape by outside during the Bombogenesis snow storm. I hope everyone stays warm and safe until this passes. The extremely cold temperatures this season are creating some of the wildest window crystals photos I’ve ever seen posted by friends across the Facebook and Instagram universe. Keep them coming! To me, the beauty of nature is an essential inspiration. 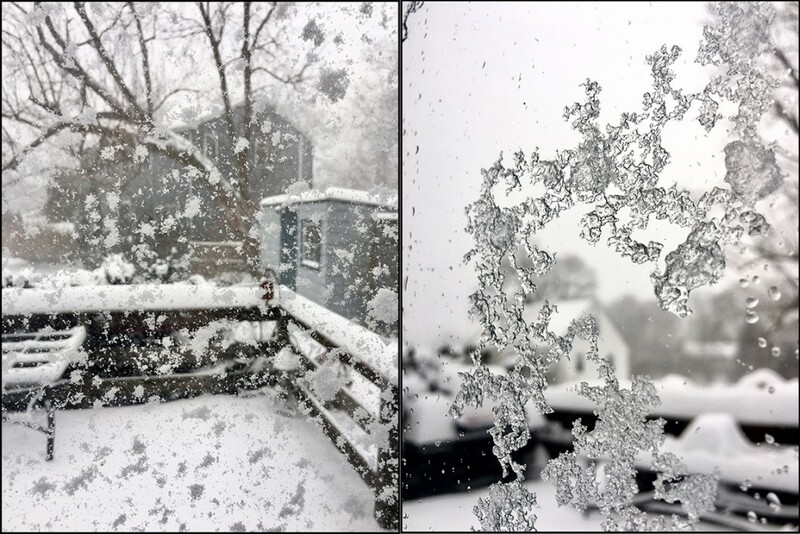 Even with my cell phone from INSIDE a warm house as in the photos above. My friends at Digital Silver Imaging are once again hosting a series of my Lightroom workshops starting in February, and we’ll be continuing with one a month until spring. I know many of you have had questions about upgrading to the new Lightroom CC vs Lightroom CC Classic and Adobe has definitely made things confusing!! I will discuss this in the classes, but my main advice is read up on the changes before you switch. There are many sources available on line or contact me with questions. I’m most excited about a brand new Lightroom Workshop called Shoot, Import and Develop! 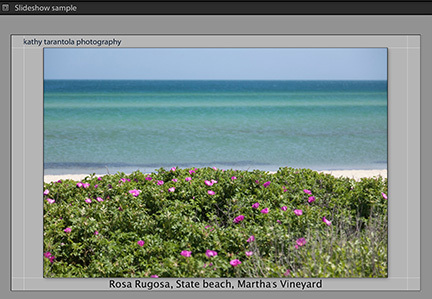 where we will spend a few hours out photographing portraits and landscapes, and then come back to import them using best practices for metadata, copyright and keywords and then move right into processing your photos. We will cover portrait photography in the field as well as landscape images and then cover editing and retouching techniques back in the classroom. So whichever type of photography you would like to explore, this class will help. Here are the current workshops scheduled. To sign up and to see details for each class click the links below each listing. Feel free to contact me with any questions about the classes. Thanks everyone! Hope to see you soon! Please forgive my negligence updating the website. In February I had a hip replacement and hesitated to schedule anything until I was 100%, so the website has said “Stay Tuned” for too long! I am doing great – back to working, shooting, biking, swimming, gardening and dancing. I’m still working on my mountain hiking skills 🙂 However, at this point, I have decided to postpone any additional location photography workshops for 2017, but I’m planning a couple of Lightroom classes. But it’s been an exciting and busy year. I had a great opportunity to teach photography for the New York Film Academy for 3 weeks during their summer residency at Harvard University. We had a great class of students from all over the globe and the other classes running simultaneously were Filmmaking, Musical Theater, Acting, and 3-D Animation, so the collaboration between the classes was exciting for everyone. I continue to teach Lightroom privately and do consulting for a number of regular clients, which keeps me busy as well as my photography work for the Peabody Essex Museum. 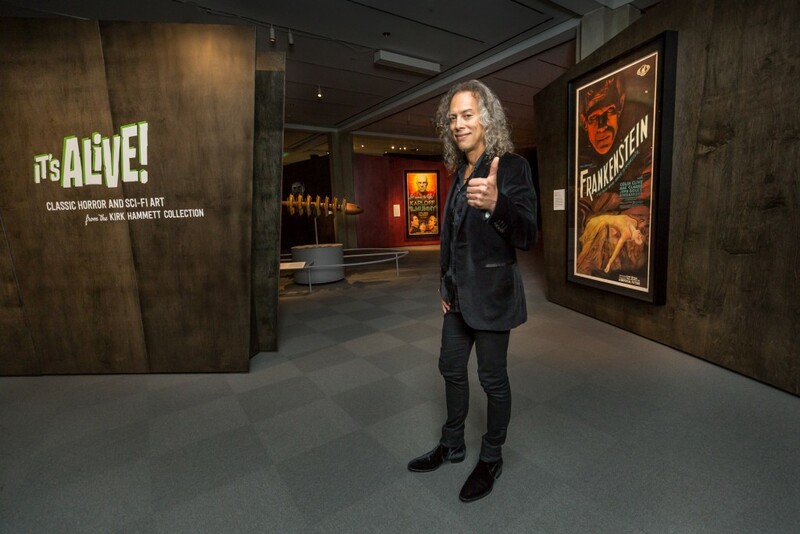 Just last night I had a chance to photograph Kirk Hammett, the lead guitarist for Metallica, at the opening of the exhibition of his collection of classic horror posters. What a fun night – he performed an instrumental piece that he and his musician wife, Lani, wrote specifically for the show. Some monster talent there! Kirk posted this photo to his Instagram account and it currently has 27,000 likes! Below you will find the information for the Lightroom class and I’ll let you know when we get more on the calendar. We’re planning an Advanced Library module, Advanced Development, and possibly another 3 part Slideshow, Book and Print module workshop too. Enjoy the rest of summer, and even in this harsh political environment, remember to be kind to one another. We can all make a difference. 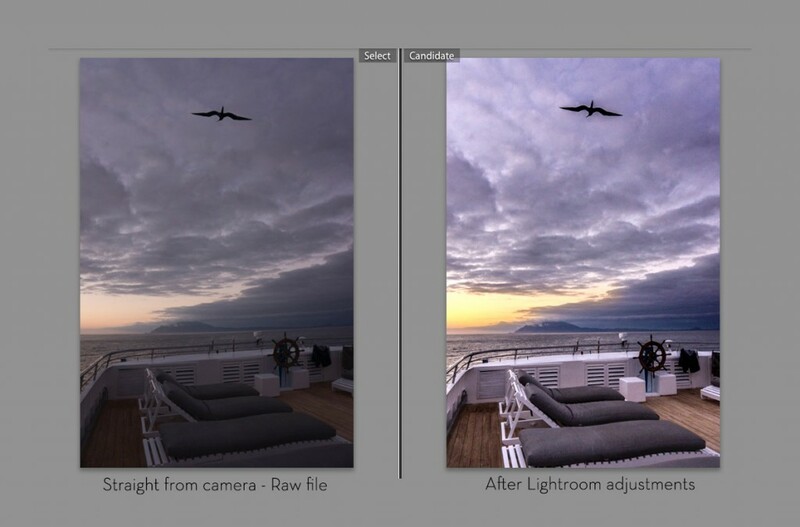 Lightroom is the essential software tool for any serious photographer. Come and learn the fundamentals of this incredibly powerful tool that many professionals have come to rely on. Experienced instructor Kathy Tarantola will help guide you through the basics. This workshop will thoroughly cover the Library and Develop modules where you manage, keyword, edit and enhance your images. With hands-on practice, learn how to quickly and easily import, organize, edit, rate, and enhance your images, and how to work through large shoots efficiently with synchronized settings and presets. We will discuss how Photoshop will still fit in your workflow, and learn how to move between Lightroom and Photoshop easily. The class will also cover the basics of the Slideshow, Print and Web modules, all of which take your workflow to a professional conclusion. No prior experience with Lightroom is necessary; however a working knowledge of computers is necessary for you to get the most from this workshop. A laptop computer loaded with the current version of Lightroom is required. You can download a trial version at Adobe.com. You will gain a fresh outlook on how to manage your workflow and process your digital images faster and with more precise control, as well as learning to quickly increase your creativity and output stunning images. Lightroom classes Winter 2017 – 101 and Beyond, Develop and Library modules! Adobe Certified Expert, Kathy Tarantola, will help guide you through the basics. This workshop will thoroughly cover the Library and Develop modules where you manage, keyword, edit and enhance your images. With hands-on practice, learn how to quickly and easily import, organize, edit, rate, and enhance your images, and how to work through large shoots efficiently with synchronized settings and presets. We will discuss how Photoshop will fit into your workflow, and learn how to move between Lightroom and Photoshop easily. 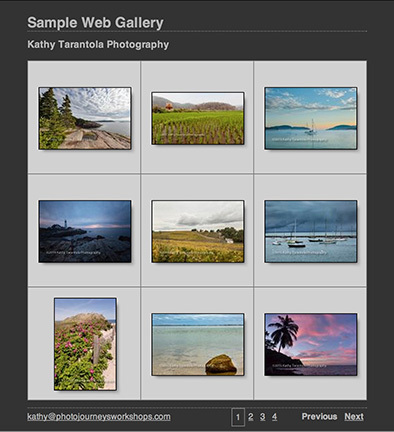 Kathy will take several images through the entire Develop workflow, reviewing tools along the way. Topics emphasized will be based on student needs. You will have time to practice with your own images, ask questions, and get feedback on your work. No prior experience with Lightroom is necessary; however a working knowledge of computers is necessary for you to get the most from this workshop. A laptop computer loaded with version 5 or 6 of Lightroom is required. You can download a trial version at Adobe.com. 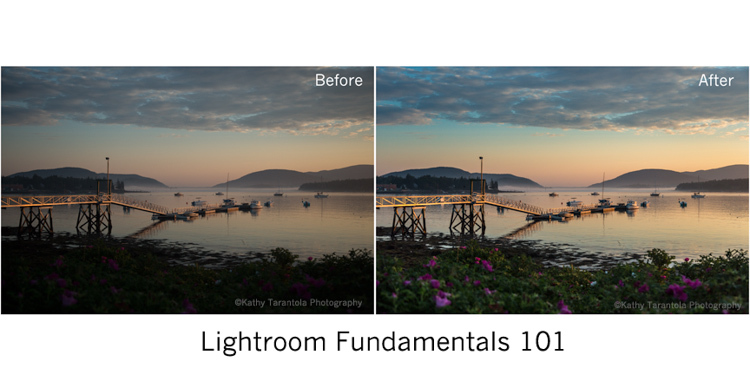 New Lightroom Classes for December 2016 and January 2017! Adobe certified expert, Kathy Tarantola will help guide you through the basics. This workshop will thoroughly cover the Library and Develop modules where you manage, keyword, edit and enhance your images. With hands-on practice, learn how to quickly and easily import, organize, edit, rate, and enhance your images, and how to work through large shoots efficiently with synchronized settings and presets. We will discuss how Photoshop will still fit in your workflow, and learn how to move between Lightroom and Photoshop easily. Now that you have fabulous images, how do you share them with the world? Luckily, Lightroom gives you incredibly customized ways to output your images working in the various modules like Book, Slideshow, Print and Web. There are so many options, that these modules can be confusing. But once you begin to work with them, you will be delighted with the variations for creating your own custom output, whether it be a hardcover tabletop book, slideshow or gorgeous color corrected prints. Web size, print size, ppi, dpi, resolution, color space, compression, pixel dimensions – how to make sense of all of this? You will come away from this first class of the Output Series understanding all of these options as well as learning how to watermark your images to put on the web, save export templates for these various output usages so that with the touch of a button you can export to the proper size and specs, and how to manage the workflow of exported images. In addition we will spend time exploring the slideshow module to learn how to best create slideshows that are visually pleasing, using text overlays, background images, and creating and saving multiple slideshow templates. You can customize the Lightroom default print templates for various paper sizes, save them, and print directly from Lightroom utilizing custom paper profiles for the best reproduction on a variety of paper surfaces. 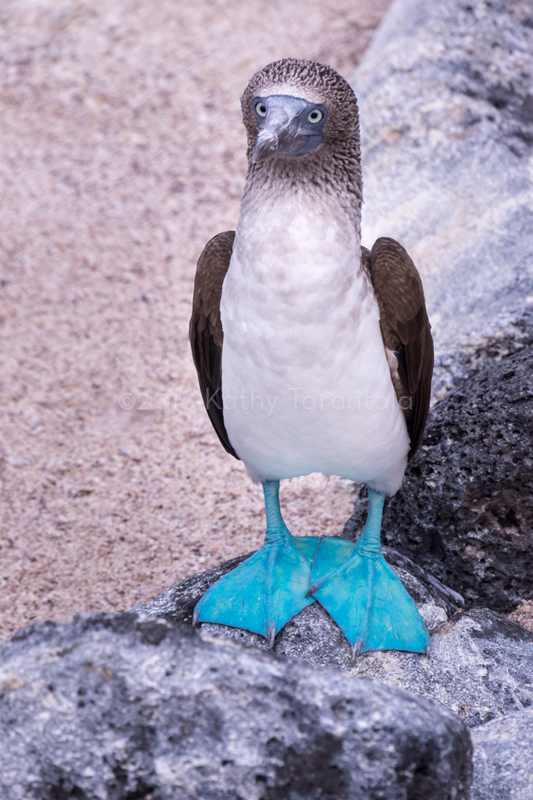 We will cover soft proofing in the Develop Module to get your images ready for the best color reproduction possible. Even if you don’t have a printer at home, we will discuss how to properly export your images for file delivery to custom labs like Digital Silver Imaging, with all of the settings embedded in the file. You will also be choosing 3 of your images to have printed at DSI. We will work on color correcting and soft proofing them using the correct paper profiles to ensure a stunning print. Your prints will be ready by the final class for you to take home. In this class we will work to create beautiful layouts for making a book from your photographs. Creating a book can be as simple as letting auto layout do the work for you, or by using the various preset page layouts and text options, with minimal effort, you can tailor your book to suit your vision. By the end of the evening, you should have the beginnings of a book design that you can save as a template to create a very fine book. 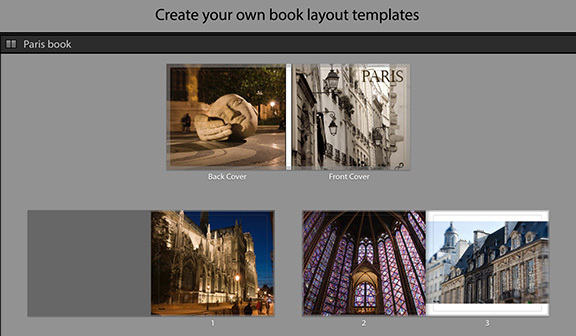 Lightroom has partnered with Blurb custom publishing for simple ordering, or you can export your layout to a PDF or jpegs. Adobe certified expert, Kathy Tarantola will help guide you through the basics. This workshop will thoroughly cover the Library and Develop modules where you manage, keyword, edit and enhance your images. With hands-on practice, learn how to quickly and easily import, organize, edit, rate, and enhance your images and how to work through large shoots efficiently with synchronized settings and presets.